-- Rod Smith (6-47-1, 5-113-1/5) had a great fantasy game but he really wasn’t a key part of the game plan. A ‘gift’ 81-yard short catch & run as this game was all but over jacked his numbers. -- I guess Sean Lee is back? 19 tackles, 1 TFL, 1 PD…and the Cowboys shut down NYG allowing only 10 points. This is a sleeper DST for Week 15 because the Oakland Raiders are horrific on offense lately. -- A new head coach…more Wayne Gallman (12-59-0, 7-40-0/9) touches. They ran a lot of clear-outs and then dumped short passes to Gallman over the middle in this game. Might be on the PPR sleeper list for Week 15? -- If Josh McCown (6-12 for 46 yards, 0 TD/1 INT) is going to be out for a game or the rest of the season…it changes the DST dynamic ahead because Bryce Petty or Christian Hackenberg are truly awful QBs. Week 16 at NO is a DST gem for the Saints if no McCown. Another reason to keep holding/playing the LAC DST – Week 16 vs. the Jets. -- The Broncos DST pitched a shutout this week…if they’ve woken up than they are top 10 this week at Indy. -- Bilal Powell (13-35-0) might become a thing soon if the Jets decide to shut down Matt Forte (6-13-0, 2-21-0/3) now that the Jets are toast for the playoffs. Powell made a decent run late last year with Bryce Petty as a simple dump pass option, etc. -- Jimmy Garoppolo (20-33 for 334 yards, 1 TD/1 INT) was constantly under pressure, making throws with people in his face – and he was brilliant. He’s so good at being a quarterback. He’s a future star…there’s no doubt about it. Bad blocking. So many penalties. It’s hard to lock him in as a QB1 because of his surrounding cast. Solid-ish Week 15 v. TEN, and then ‘no way’ vs. JAX in Week 16. -- Marquise Goodwin (6-106-0/12) is beyond Garoppolo’s #1 pass target. 12 targets…the next best on the team had 4 targets in this game. -- T.J. Yates (14-26 for 175 yards, 2 TD/0 INT) will probably start next week and for the rest of the season, I suspect. He’ll be a similar, slightly better version of Tom Savage. Yates gets rid of the ball quicker, but is not the greatest decision maker…but he’s not terrible either. DeAndre Hopkins will continue to be fine. 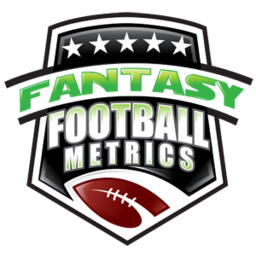 -- Mitchell Trubisky (25-32 for 271 yards and 1 TD/0 INT, 2-5-1) is starting to heat up for fantasy. He looks terrific on tape but the Bears are still way too conservative on offense right now to fully trust Trubisky for FF scoring week-to-week. -- Tyler Kroft (0-0-0/1) has gone from a blossoming TE1 to TE2, to now…’I guess I should drop him’. -- Tarik Cohen (12-80-0, 2-5-0/2) had a solid game, but he was inches from a fantastic day…2 huge plays called back, at least one TD called back. I don’t think the coaches were pushing him this game...as much as it was the Bears getting a big lead and trying to run out the win. Late in the game, Cohen was at tailback salting the game away for extra carries. *An odd game with that snowstorm, so not much you can take away from the performance here. -- I suspect Tyrod Taylor will be back, at reduced capacity next week. If Nathan Peterman starts, the Miami-DST will be a top 10 projection next week. -- The Bills DST is starting to heat up a bit…13.3 PPG allowed the past 3 weeks. They host Miami this week…and the Dolphins heading north in December is never good for them. The weather is projected to 35-40 degrees with possible rain and 15-20+ MPH winds. -- The Colts host Denver on TNF Week 15…that might Denver back as a top 10 DST projection for a week. -- Ameer Abdullah benched, Theo Riddick (10-29-2, 6-64-0/10) gets the bulk of the work with no signs of a Tion Green (5-15-0) push. You have to assume it will be the same set up next week. -- Mike Evans (2-25-0/2) has not scored a TD in 6 games, he has 4 TDs this season…pacing for about 5 TDs this season. Evans also does not have a 100+ yard game this season. -- I thought Aaron Jones (4 carr., -2 yards, 0 TD) would get a bigger push here but Jamaal Williams (15-49-1, 7-69-1/7) was the man in this game. He’s more up Mike McCarthy’s alley…so, I assume he stays the main RB but now with Aaron Rodgers back…and that doesn’t help him get TDs because Rodgers throws for so many to WRs and TEs. -- The Browns got up to a 21-7 lead and then tried to sit on it by running the ball, thus the moderate Josh Gordon (3-69-1/6) output after a white-hot start in that game. When the Browns are down and throwing in games ahead…Gordon will have 10-15+ targets per game. -- Randall Cobb (8-39-0/8) was a big part of the early game plan and had a nice PPR day. Cobb was pretty solid with Rodgers earlier this season…he’s a WR3 PPR potential assuming Rodgers back Week 15. -- Case Keenum (27-44 for 280 yards, 2 TD/2 INT) is not going away in fantasy…280+ yards passing and 2+ TD passes in five of his last 6 games. He’s a QB1 as long as the matchup isn’t bad…until further notice. Cincy and GB the next two weeks…it works. -- Stefon Diggs (6-64-0/10) was a top 5 fantasy WR the first few weeks of this season, got hurt, and since he’s returned/Keenum has taken off…Diggs has been a WR3-4 most weeks. 1 TD in his last 8 games. No games over 80 yards in his last 7 games. He dropped a few scoring opportunities in this game. -- Greg Olsen (0-0-0/1) obviously isn’t right…he may be a full drop this week, but that decision may be made for us with him getting shut down potentially. -- Once again, the Chargers DST serves you well…a solid output against Washington. The next two weeks…at KC, at NYJ. You could start LAC in both games…the Chiefs start is so-so because KC is not that that great of an offense but the turnover potential is low because Alex Smith doesn’t throw many picks. -- Samaje Perine (17-45-0, 4-7-0/4) looked good here but Washington got down so fast the run game was not much of a priority. -- Rookie IDP DB Desmond King (10 tackles, 1.0 sack, 1 PD) is really coming on…7.0 tackles, 0.7 sacks, 0.7 PDs per game in his last three games – including a 90-yard INT return TD. -- I hope Marcus Mariota (16-31 for 159 yards, 0 TD/2 INT) is hurt in some way none of us knows and that is affecting his play because he looks like he’s never played in the NFL before. Such a quality performance his first two seasons and then totally lost the last few weeks. -- Ricky Seals-Jones (1-20-0/3) keeps falling back to earth…one part teams accounting for him, and the other part – Blaine Gabbert not good enough to flip that switch at will. Call off the TE1 ‘dogs’ on RSJ. He’s a hail mary play only. -- Another week, another DeMarco Murray (11-34-0, 2-13-0/3) disaster. You’re going to start to see him on waivers more and more…I wouldn’t touch him. He had been a disaster for most of the season. Running on eggshells/the worst starting RB that I think I’ve seen this season. -- Nick Foles (6-10 for 42 yards, 0 TD/0 INT) now attempts to win the Super Bowl title he was after in 2013-2014 before the Eagles gave him away for the right to stuff the most millions of dollars into Sam Bradford’s pockets for nothing in return in the NFL. Foles is no ordinary backup…go look at his 2013-2014 numbers…high winning percentage, high passer rating. His crime is getting stuck with Jeff Fisher and it derailing his career. The NFL has passed by his drop back/sit too long in the pocket, medium-deep throwing ways but he’s still pretty decent. He can get them to a Super Bowl, potentially. He’s a QB1 in a decent matchup…but he’s not Carson Wentz – and that’s said from a guy who loved/loves Foles. This performance by Wentz was the best I’ve ever seen him have – he’s an absolute escape artist on the Russell Wilson level; just not the QB talent Wilson is. I stopped calling Wentz ‘lucky’ many weeks ago. I was the fool all along. -- I told you Trey Burton (5-71-2/60 is as good/better than Zach Ertz. Some team is going to find that out when they score him in free agency. If he ends up with the Rams in 2018, I will lose my mind with Jordan Reed-like delight…and Sean McVay just got an eye full of him. -- Cooper Kupp (5-118-1/7) had a helluva game here. However, he probably dips back down to co #1 in Jared Goff’s heart when Robert Woods returns for the big showdown Week 15 vs. Seattle. -- Back-to-back week where Blake Bortles (18-27 for 268 yards, 2 TD/0 INT) had 2 TD passes in a game. He looks pretty comfortable right now, and with defenses stacking the line to stop Leonard Fournette, so Bortles has the easiest field to work with of any QB in the NFL…and he’s taking advantage. Facing HOU-SF to finish out is pretty sweet for him…I just can’t bring myself to ever count on him for anything. -- Mike Davis (15-66-0, 1-0-0/1) looked fantastic, and I’m not saying that to prop him up as a guy I like. I’m stunned with how good he looks running the ball. I saw him in the preseason and saw he had a little ‘it’ going but I didn’t think he was this good – he’s making plays out of sure-fire tackled for a loss moments, reversing field and finding 3-10+ yards often. He wasn’t used much early in this game, then kinda took over the game for a stretch…then got hit hard and went out of the game for good. Had that hit nor occurred, he was on his way to 100+ yards rushing easily. -- Russell Wilson (17-31 for 271 yards, 5-50-0) had 3 picks, and was struggling early but then did his typical ‘walking on water’ miracle escapes and throws…and ended up with a big fantasy game. He’s the most auto-start QB in the league right now…along with Tom Brady. The matchup does not matter. This Russell Wilson is what happens every time Seattle’s run game is taken away from the O-C. This offseason – they’ll spend their entire strategy planning to draft multiple RBs and OLs to bolster the run game and put a lid on Wilson. NFL people are ‘sick’. -- Big Ben (44-66 for 506 yards, 2 TD/0 INT) has thrown for 290+ yards in a game for four straight games. After a very mild, shaky start to the season…Big Ben is on fire. -- Alex Collins (18-120-1, 2-46-0/2) is proving the RB position is virtually meaningless in the NFL. He was a cut RB grabbed by the Ravens and was only activated due to injuries above him…now, he’s the greatest RB in the NFL. He really looked good…but remember the Steelers were down their #1 and #2 ILBs. -- Jesse James (10-97-0/12) had a career day for catches/targets. Is this a thing now? I don’t think so. Obviously, the Steelers did their homework and saw they could expose the linebackers via the pass…Vance McDonald (4-52-0/6) was leading the way until he got hurt (shocker). The Steelers threw 66 times (like 2 games worth of throws) and 20 of them went to TEs. It’s not normal or new a trend, I don’t suspect.